Many parents feel wary about letting their child read comic books and graphic novels. Somehow, there is the perception that they aren’t as legitimate as a book with few or no pictures. But that just isn’t the case. In fact, for some readers, comic books and graphic novels actually help them become better readers than they might if they only read straight print. In this excellent article, four teachers explain why they love teaching with graphic novels and comic books. 1. The combination of words and images builds a student’s ability to visualize and understand complex ideas. 2. It helps reluctant readers feel successful. I have worked with many students who hated thick print novels but loved graphic novels and comic books and finally felt like a successful reader because they finished an entire book…and enjoyed it. 3. Visual learners benefit greatly from the format and will spend time working to infer details not pictured or written, thinking about why the author chose a particular image to highlight, and studying the story from different characters’ perspectives. In other words, they read critically. There are many well-written graphic novels and comic books out there. 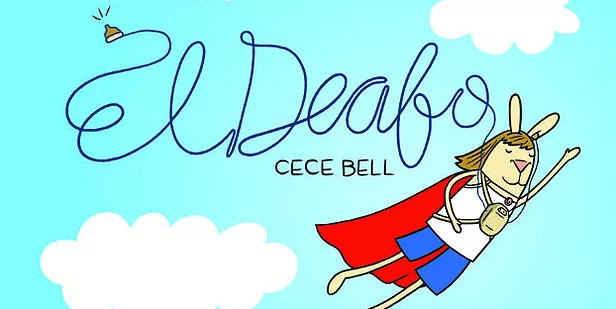 A few of my favorites are El Deafo, Persepolis, and Fun Home. The article linked above has further suggestions, and your child’s school librarian, or the city librarian will also have recommendations for you. Here is a list of good graphic novels for children.